Give young and old a chance to tell and live the story of the coming of Christ! 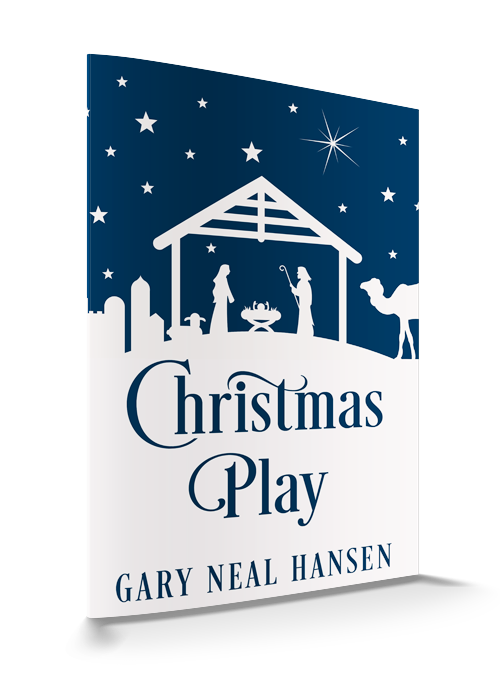 As a current pastor, and a former actress, I can say with conviction that Gary Neal Hansen's play is a beautifully evocative rendering of the gospel birth narrative. I plan on using this play myself knowing that it will have great impact for congregations and that it will be simple enough for amateurs to perform well. Gary Neal Hansen has handed us a gift. Christmas Play is easily staged for full production or can be offered as a reader’s theater presentation with script in hand. People of all ages can both enjoy and participate in this refreshingly full-bodied telling of Christmas. Angels, shepherds, prophets, animals, and a holy family; all take the Christmas stage and proclaim the Good, Good News: For unto us a son is born. This license entitles you or your organization to produce one performance of Christmas Play, without photocopy permission (scripts to be purchased from Amazon or a single script may be downloaded by any individual who signs up for the Member Library). Hansen understands that the bells and whistles of Christmas often hide its true message, and so he allows the very words of scripture to irresistibly draw congregation and participants into the dramatic sweep of the story of God breaking into our world as the Christ-child. In Christmas Play, the Living Word becomes embodied and proclaimed, creating a simple, yet powerfully joyful and serious production. Hansen includes excellent stage directions and recommendations to ensure a deeply meaningful and significant Christmas experience. You will find that Christmas Play is a tremendous way to let the wondrous story of Christ’s birth transform lives through this unique proclamation of scripture. Give your congregation the gift of Christmas.